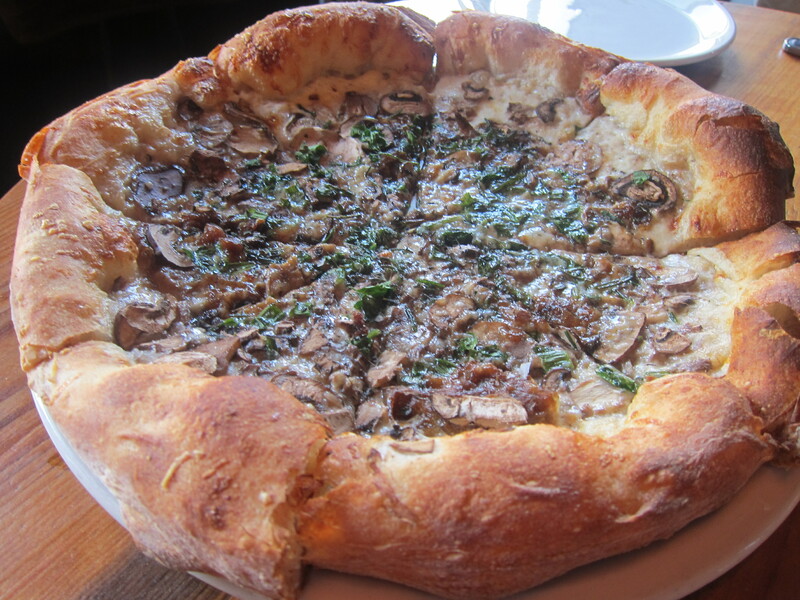 A couple years ago I told you about a torrid affair I was having with a mushroom and truffle pizza. We started off pretty hot and heavy. Unfortunately, though, because I live in the Valley and she resides in Santa Monica, the interminable 405 construction and ensuing traffic have wreaked havoc on our relationship. But don’t be sad. Things are about to improve because the pizza and I can now hook up in Hollywood. Stella Barra Pizzeria is the new sister restaurant of my favorite upscale pizza joint in the city, Stella Rossa Pizza Bar in Santa Monica (which has now been renamed Stella Barra as well). 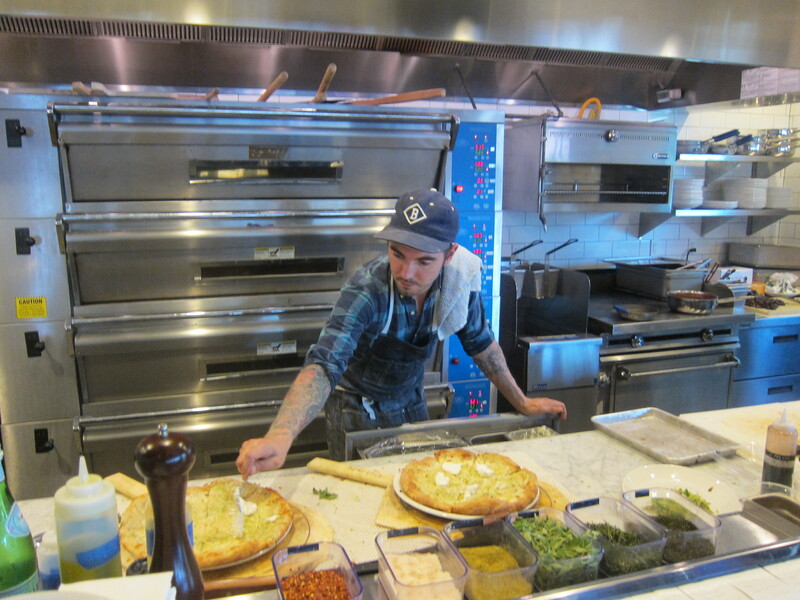 Located on Sunset in Hollywood, Stella Barra serves the same amazing pizzas as the Santa Monica restaurant, but in a much larger and even cooler space. 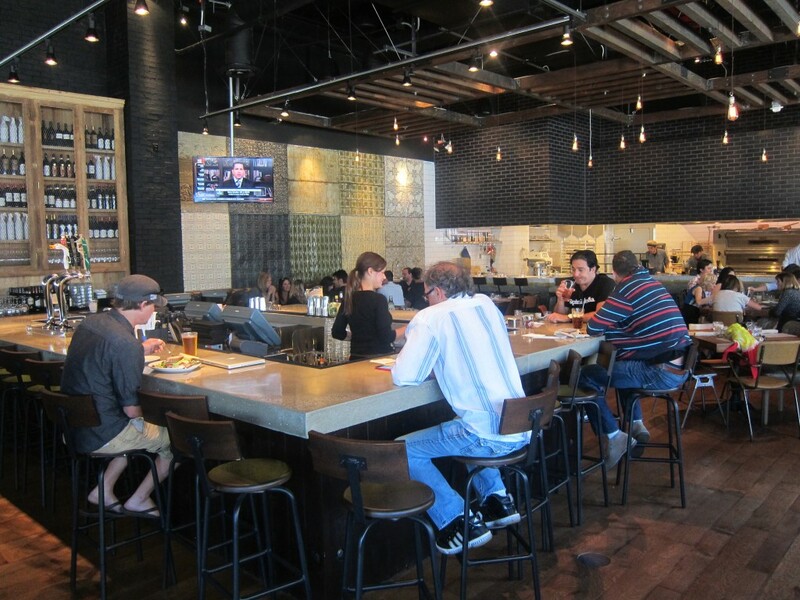 It’s the perfect spot to dine when going to the Arclight, Pantages or Palladium, or to kick back at the bar with a glass of wine after a vinyl foraging session at Amoeba Records (life in LA can be so exhausting!). 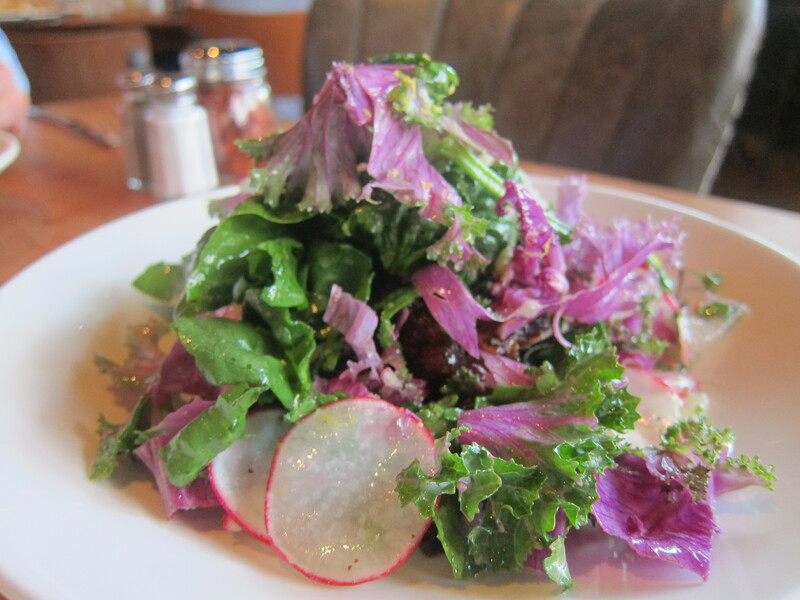 Both restaurants are helmed by a young genius chef named Jeff Mahin. You may know Jeff as a finalist earlier this year on the reality tv show/cooking competition The Taste, but I’m far more impressed with the fact that he trained at my all-time favorite restaurant in the world, The Fat Duck in England. 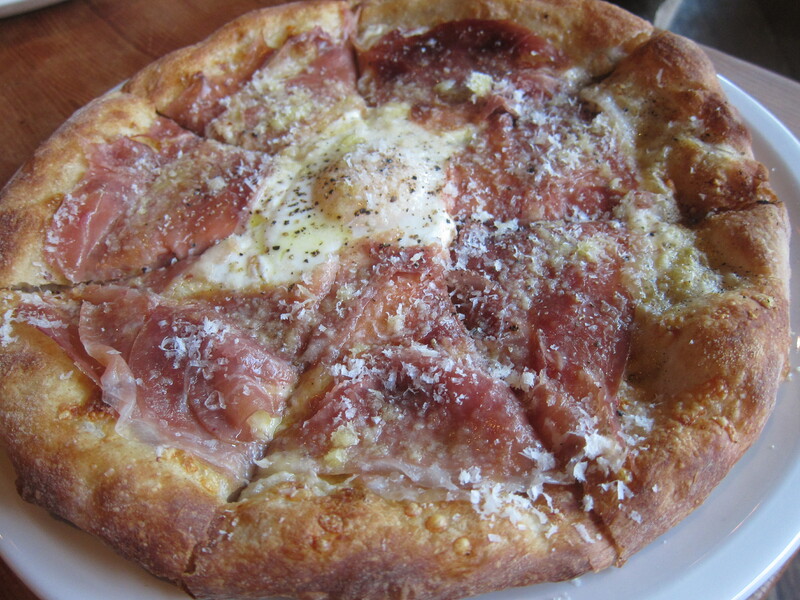 Jeff spent years perfecting the perfect pizza crust and tops his creations with the most mouth-wateringly delicious ingredients such as Calabrian chilies, smoked paprika oil, housemade sausage and sunny-side up farm eggs. 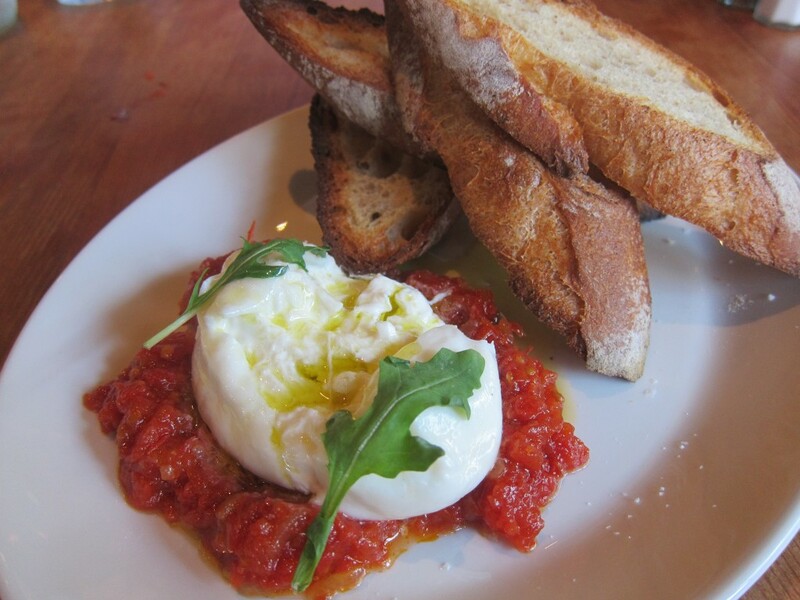 Besides Jeff’s signature pizzas, Stella Barra has many great Italian starters and salads. I love the Fresh Local Burrata with Roasted Tomato Jam, House-made Bread, Sea Salt and Arugula, the Organic Meatballs (pictured above) with Tomatoes, Lardo, Basil and Oregano, and the Spinach & Purple Kale Salad with Pecorino Romano, Medjool Dates, Shaved Radishes and Mustard Vinaigrette. 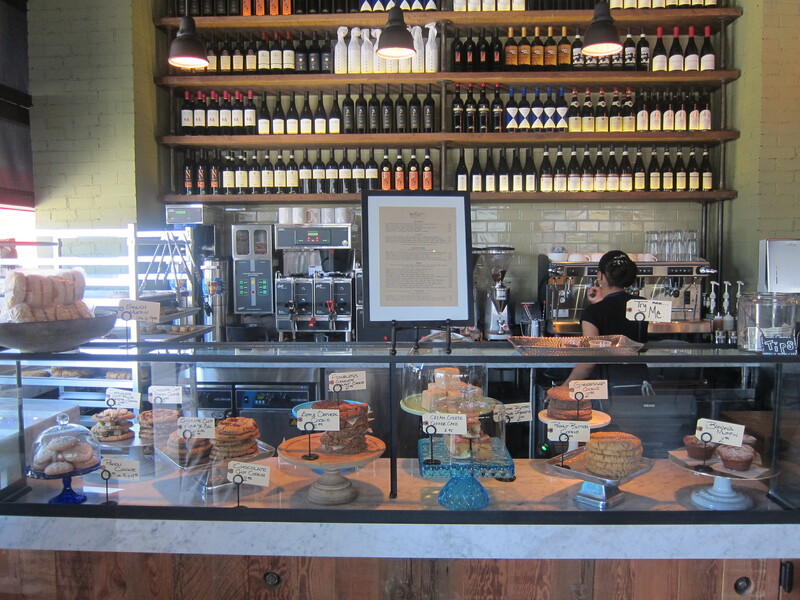 If serving LA’s best pizza was not enough, Stella Barra also sells big, freshly baked M Street Bakery cookies, which are possibly the best cookies in the whole city. 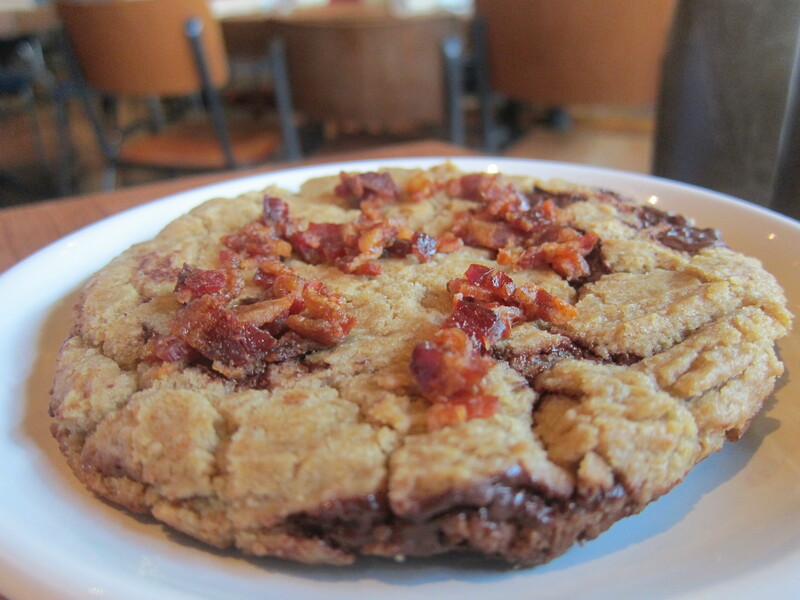 I’m especially partial to the sweet and salty Bacon & Chocolate Chip one. 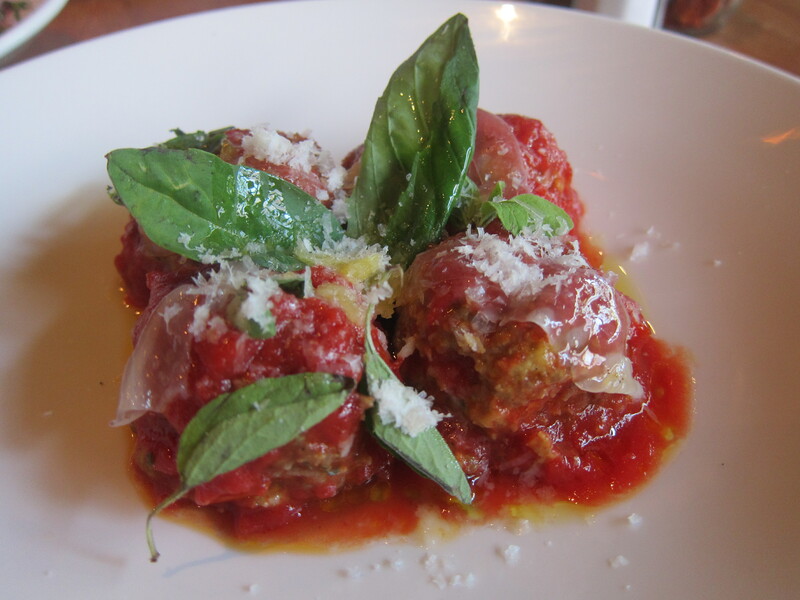 Stella Barra Pizzeria is located at 6372 W Sunset Blvd, Los Angeles (in Hollywood). It all sounds and looks sooooo yummy! I was just there, some amazing ‘Za!